Patricia A. McKillip is one of the most renowned fantasy writers and rightly so as she combines great stories with refined writing. Last year I’ve read her Winter Rose and was quite enchanted by its mysteriously poetic qualities. Winter Rose is a typical fantasy novel regarding the setting. It depicts a time long gone and a pre-industrialized society. When I found out that she had not only written a sequel but that she had set it in modern times, something she normally doesn’t, I was very curious to read it. Solstice Wood takes place many decades, even centuries after Winter Rose and apart from the setting and some elements, I’d say the two books do not have a lot in common. The style is very different and you could say, they really are stand-alones with a few common traits. Sylvia grows up with her grandmother. Her mother has died when she was still little and she doesn’t know who her father is. 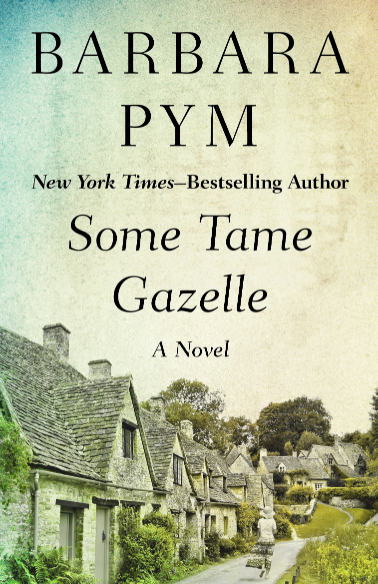 When she finds out that she is half fey, she flees from Lynn Hall and settles in a big city where she becomes a book shop owner. She never wants to return as there is one thing her grandmother hates and tries to keep at bay and that are fairies. When she gets a call informing her of the death of her grandfather she is very reluctant but eventually gives in and flies back home for the funeral. Her aunt and her cousin Tyler are there, as are her grandmothers’ brother and her grandmother Iris. She feels like a stranger but at the same time she is happy she gets to see her friends again. She would never have left them if it hadn’t been for her secret an only now she becomes aware how much she missed them. Still Sylvia is really anxious and wants to fly back right after the funeral but strange things happen. It seems that the dark wood forces, guided by the queen of the fairies, are about to break loose. Her grandmother, together with a dozen other women, is part of a fiber guild. The magical quilt they are crocheting has the power to keep the two worlds well separated. When Tyler is suddenly replaced by a changeling and the women find out the web of their quilt is about to unravel and the worlds are merging, it’s about time, everyone gets active. For some of them that means entering the Otherworld. The big question is whether they will all survive and if they will, whether they will admit that some of them, not only Sylvia, are not just humans. I liked Solstice Wood, it’s well written and the way McKillip describes how the worlds merge is interesting. I enjoyed the idea of the fiber guild. What worked very well too is that you can interpret the world of the fairies as anything which feels strange and unfamiliar. The book offers an interesting variation on the themes of prejudice and bias. The more the worlds touch, the more the people get to know the other side, the less it’s frightening. In the end it’s all a matter of being open. 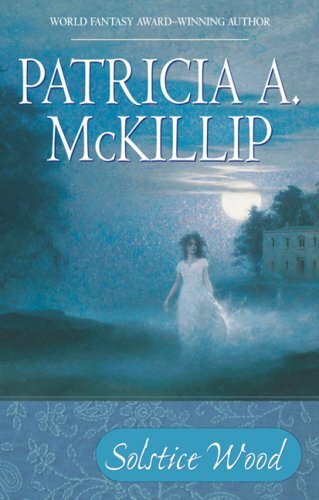 I liked to read a contemporary fantasy novel by McKillip. It’s a lovely and quick read, no big suspense or anything, much more a family story with a fantasy touch. It’s funny, I do appreciate magic realism a lot, but can’t quite get into fantasy. If there isn’t some significant link to reality, some sense that the fantasy elements materialise something intangible in real life, something that needs to be translated into the otherworldly in order to reveal its significance, then I’m not sure what they are there for. Or maybe this is a novel that is essentially about a conflict between difference and belonging? Yes, you could say that it’s about difference and belonging. 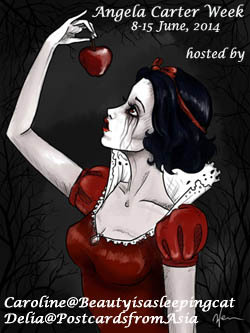 I liked it but in general, I think I like either darker fantasy or retellings of fairy tales better. I like the descriptions of nature and the idea that there ae more beings than just humans. Sounds delish. I’ll be keeping an eye out for it, maybe in November after I get all the other writing things I have to do done. Thanks for mentioning it. Yes, it’s lovely. If you like fantasy I could recommend Robin McKinley. I read Chalice this year and it blew me away. I was in another world for days it has such a haunting atmosphere. I reviewed it too. Thanks, I’ll look for it. I don’t read much (any?) fantasy, but I can see the appeal. I like the idea of a more contemporary setting and love the idea of a fiber guild–it’s not often you see needlework show up in books! I remember when you wrote about her previous book. I’ll have to tuck her name away in case I’m in the mood for a story with a more fantasy-slant to it. The fiber guild is an amazing idea and it worked so well. I haven’t read a lot of books including crafts. She does write very well, her style is lovely. I liked that she chose a contemporary setting. The Forgotten Beats of Eld is one of the first I read by her and I enjoyed that a great deal too. I too prefer magical realism to fantasy. Have never heard of setting a sequel in a completely different era. That could be really jarring if you read them back to back. They really do not have a lot in common. It’s not your typical sequel at all. I really like the fantasy genre. The combination of a poetic style in a fantasy book is often fantastic. Of course JRR Tolkien wrote in such a style. Most fantasy writers do not, however. It has been awhile since I read this kind of a book. McKillip sounds like an author that I would like to try. It’s hit an miss with fantasy unless you’re very familiar with the genre. There is a lot of badly written fanatsy out there. I try to stay way from it. McKillip writes well and so does Robin McKinley and Caitlin R. Kiernan whom I’m just discovering. Her writing is so complex, I can hardly read it after work. But there are many others who write really well. I’m in the mood to read at least one in parallel to my other books these days. Interesting that the two books are a series but have obvious differences. I kinda like that. I love a good series, but sometimes it can get overwhelming when I know the series continues for 10 or more books. I haven’t read her yet, but I have read many glowing reviews. I could imagine you would like he Forgotten Beasts of Eld. It’s not really a series, just two books, one set in the past, one in our times and that’s probabaly why they are so different. he first felt quite oldfashioned, this one feels modern. I’ve read a few glowing reviews of books I haven’t read yet as well. Nice review, Caroline! It is interesting that McKilip wrote a sequel set in modern times. I love the concept of two worlds meeting with all the interesting consequences. I haven’t read a fantasy novel in a while. Now after reading your review, I am feeling like reading one. I liked it very much that it was set in our time. Usually only Dark and Urban Fantasy is set in modern times. I’m looking forward what will be your next choice. I read Winter Rose ages ago. I want to read it again, and then follow it up with this one – which sounds lovely. Thanks for finding it! You’re welcome. I want to read some of her other novels as well but my fantasy find for this year was Robin McKinley. Same with Danielle, I don’t read much fantasy…not because I don’t like it, I do like it…it’s just I don’t know which to gamble with from all those fantasy books…especially the series ones, I don’t want to feel disappointed again like Harry Potter. This one sounds interesting and suspenful. I like characters who try to deny who they are but then they can’t escape their fate. Thanks, Novia. I know what you mean. There are so many fanatsy authors and series out there you hardly know where to start. McKillip was one of the first. Sometimes I don’t like to gamble but read one I liked before.